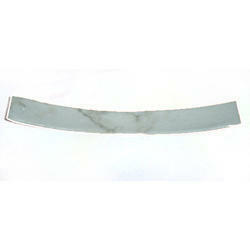 Leading Exporter of marble incense holder, soapstone incense holder and incense holder from Agra. Combining the finest polices with strong business ethics, our firm is actively engaged in offering a finely finished Marble Incense Holder. Used in the temples, spa, and many more places to hold the incense stick properly, this holder is well known among our clients who are situated across the nation. Our professionals design this holder with utmost care with the aid of qualitative marble and sophisticated technology. Checked against diverse parameters, we provide this holder in excellent packaging material. 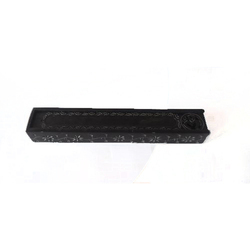 We are engaged in manufacturing quality handmade Soapstone Incense Holder which are made by our expert team of designers and skilled workers. 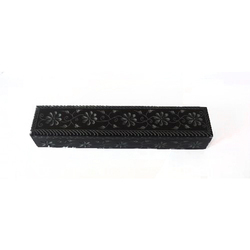 We have earned huge prominence in the market as one of prominent Soapstone Incense Holder manufacturers, exporters, and suppliers in india and i want to bulk order and i am looking for foreign inquiry. We have placed ourselves as the flagship manufacturer, trader, exporter and supplier of quality assured Incense Holder. Ideal to hold the incense stick firmly, this holder is appreciated among our clients who are situated across the nation. Our creative professionals only use the best class basic material and the latest technology while designing this holder. We provide this holder to our prestigious clients at nominal rates within promised time frame. To keep the clients totally contented, we have come up with an elegant collection of Soapstone Incense Holder. 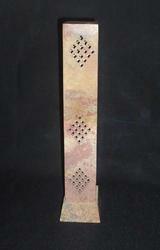 Antique in look, this holder is broadly used in homes, spa and temples to hold the incense stick firmly. Designed from quality approved stone and the latest technology, this holder is also properly checked against diverse parameters of quality. In addition to this, we provide this holder in plenty of specifications and in safe packaging material. Looking for Marble And Soapstone Incense Holder ?